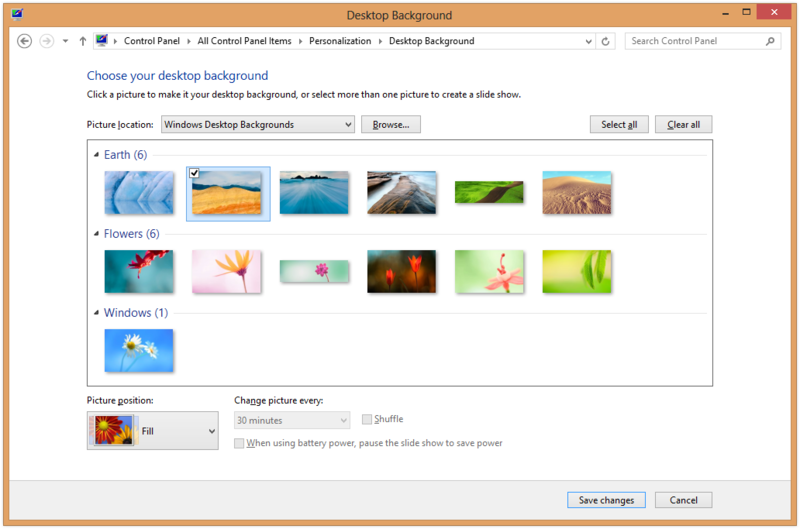 Two important, related but often overlooked features of Windows are the screensaver and wallpaper features. The screen saver appears after time has passed to avoid damage to a monitor (though this is less of an issue with LCD screens) and the wallpaper changes the background of both the Windows Start Screen and the Desktop. Here’s how to do both. Press the Windows Key and D to go to the desktop if not already there. Press it again to clear the desktop. 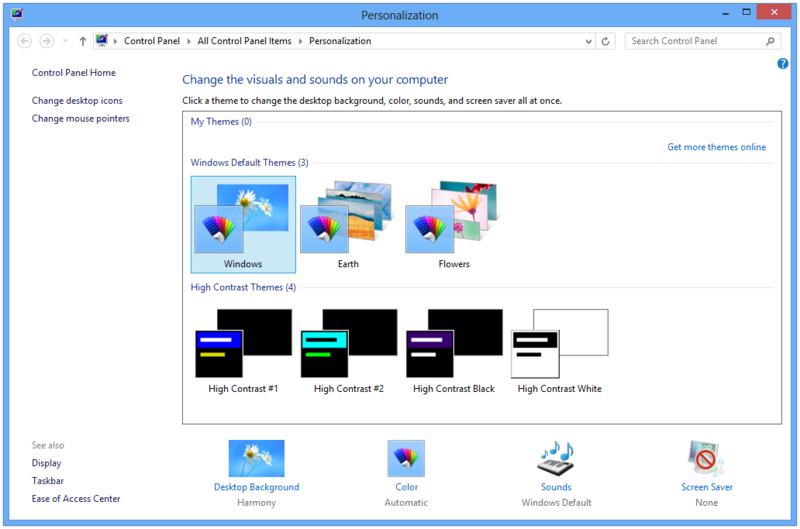 Right-click on an empty part of the desktop and click Personalize. Modify the screen saver from the Personalize screen. Click the Screen Saver icon in the lower right corner. In the Screen Saver dropdown box, choose a screen saver. 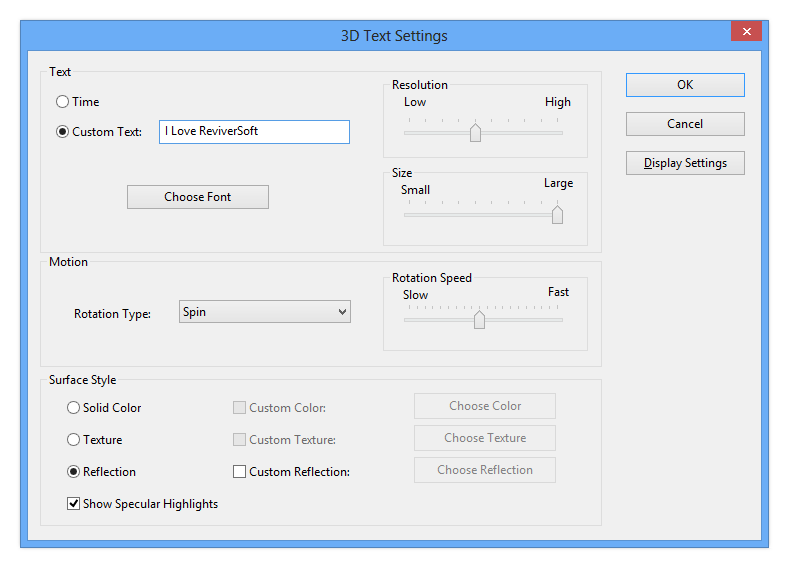 Click Settings to modify some screen savers, such as adding text. Click Preview to see what it will look like. Modify settings for your screen saver here. Click the Desktop Background icon in the lower left corner. Change your desktop background from this screen. Choose one of the existing wallpapers, or click Browse to find one in a different folder. Controlling the screensavers and wallpaper goes a long way toward making Windows 8 tailored to you.